A fashion startup is taking cues from Instagram instead of the runway to make fast fashion a whole lot faster. Choosy, which launched Tuesday, plans to offer twice-weekly collections of five items, each inspired by the hottest trends on social media and available for only a few days. It looks to celebrities and influencers on Instagram for inspiration, and wants to bring the fashion trends it spots to women in a range of sizes at an affordable price. Choosy takes a page from the once buzzy flash sales site Gilt Group to create exclusivity: New lines will drop each Tuesday and Friday at noon and sell until the next batch of looks lands. Nothing will cost more than $100, and everything will be available from size 0 to 20. Company co-founder Jessie Zeng said Choosy was inspired by the comments that invariably follow Instagram posts by celebrity influencers such as Kim Kardashian. "There would be millions of women globally asking 'Where is that dress from? How can I buy it?" Zeng said. Too often that dress was expensive or already sold out, she said. Why not give women a similar look at an affordable price? Choosy's Founders Only Jacket is one of the first items going on sale. In many ways, Choosy is simply turbocharging fast-fashion by introducing new clothes every few days instead of every few weeks or months. But in a departure from more traditional retailers, Choosy hopes to minimize its costs and environmental impact by producing only enough clothing to fill each week's orders. 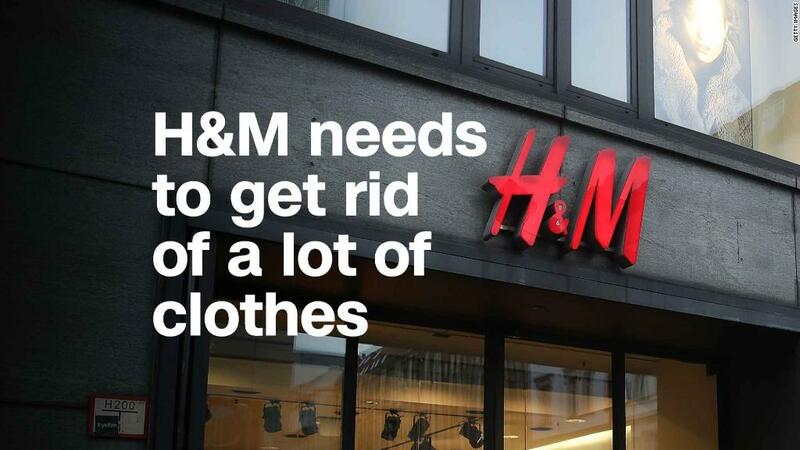 That stands in contrast to companies like H&M, which recently reported sitting on $4.3 billion in unsold inventory. "This idea of making clothes when customers already want to purchase them is great because you can avoid a mismatch of supply and demand," said Vishal Agrawal, a professor at Georgetown University's McDonough School of Business. But he said Choosy could create more waste by encouraging consumers to replace things more often. Zeng said customers can expect to receive orders within as little as three days of placing them, but some orders could take as long as three weeks to arrive from factories in China if it was a last-minute purchase. Choosy's scouts scour Instagram to identify trends. The company also uses a proprietary algorithm to determine see what's hot, Zeng said. In-house designers create looks inspired by all that data -- "inspired" being the key word. Fashion companies must walk a fine line to avoid accusations of violating intellectual property laws. "Social media, in general, has been a two-edged sword when it comes to fashion and fashion copying," said professor Susan Scafidi, founder and director of the Fashion Law Institute at Fordham Law School. "It enables small creators to reach many more people. On the flipside, it makes copying that much easier and the sale of copies that much easier. It's part of the social media arms race with respect to creating and copying." Zeng rejects the suggestion that anything Choosy produces -- like, say, its "Founders Only Jacket," a metallic silver bomber jacket reminiscent of something Beyoncé once wore -- is a knockoff. "Choosy is absolutely not copying designs," she said. "We want women to feel like they're getting unique designs based on what they've coveting on social media without breaking the bank." Social media is increasingly replacing the runway in identifying trends, a place that companies like H&M and Zara look to for their own fast-fashion inspiration. But that's no guarantee of success. Even if you design things people want, making it work requires scale. "You still have to have the volume to make the price point work," said Abigail Glaum-Lathbury, an assistant professor of fashion design at the School of the Art Institute of Chicago. "It is a tough business." Still, investors like Choosy's chances. "If you can marry supply and demand more seamlessly than you, as a business area, are able to make consumers happy while being more efficient," Eurie Kim, a partner at Forerunner Ventures, which invested in Choosy. Choosy has raised $5.4 million to date following a test launch earlier this year based on four looks inspired by Gigi and Bella Hadid. Zeng said the company sold $30,000 worth of clothing in two hours. Fast fashion indeed.